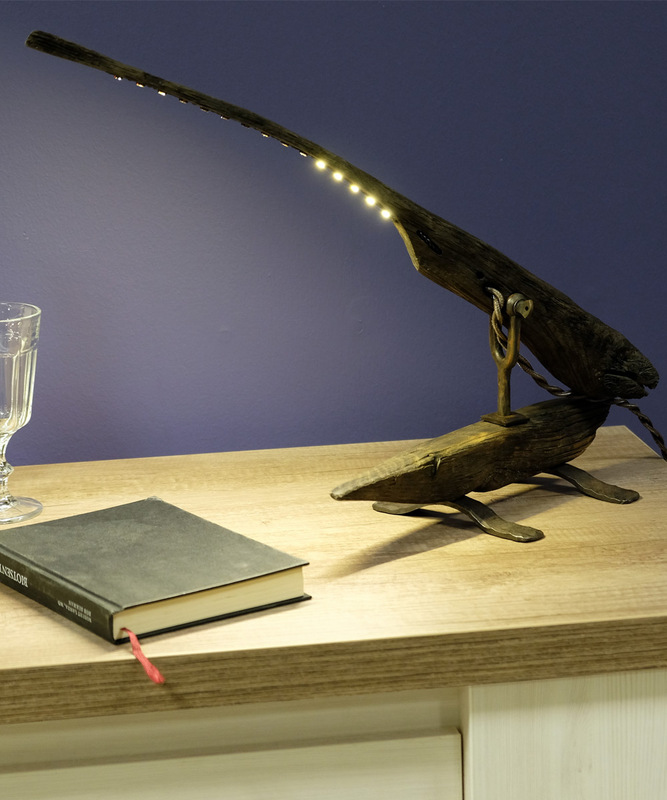 Not just manufactured, the Driftwood Lamp oak wood is crafted from a unique piece of wood, recovered from drifted pieces of wreck/debris of old ships sunken in the Baltic Sea. It is highly likely that the piece of wood belongs to some old ship wrecked, sunk 300 – 500 years ago. 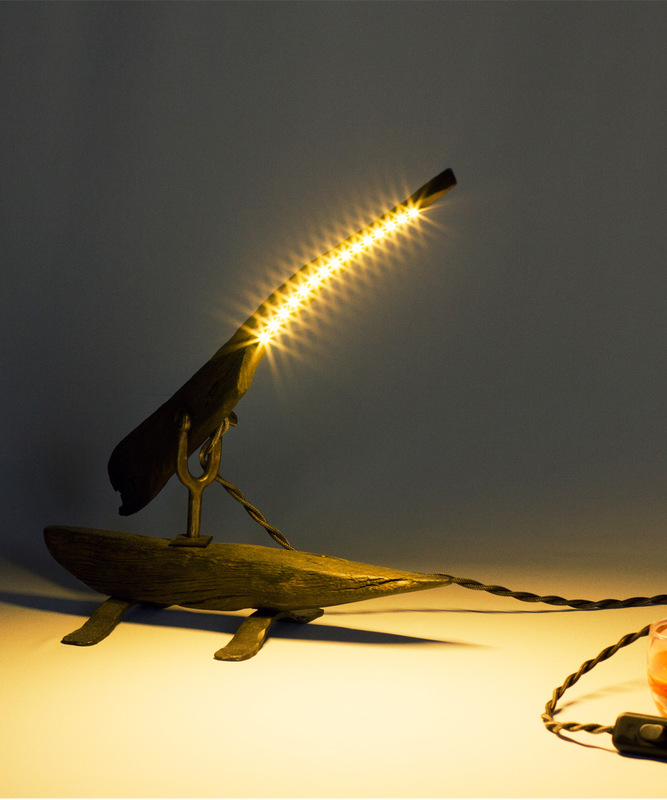 The wood has been utilized sensibly and artistically to produce a design to imitate the modern equipment, Table lamp and is great to decorate your work station, study room or any other place. 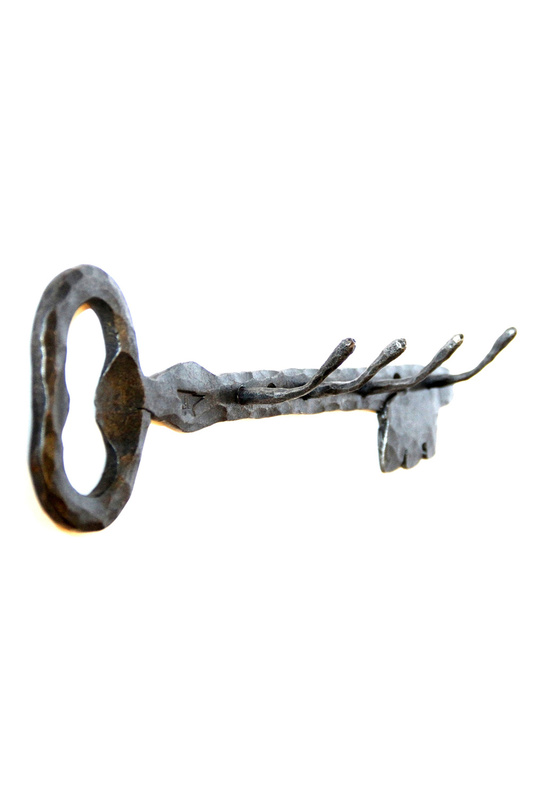 Own a piece of history with stories, mysteries and maybe a tragedy attached to it. 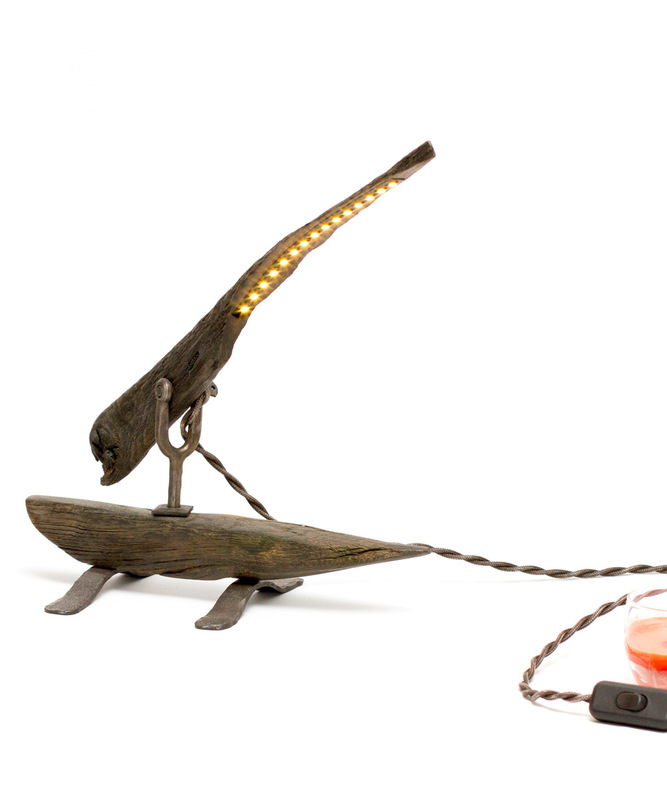 The table lamp is handcrafted from driftwood oak discovered from shallow coastal areas of the Baltic Sea. Since the wood had been submerged for more than a century, it develops a special texture and colour, and every lamp is a unique masterpiece in itself, owing to the unique texture of every wood block. 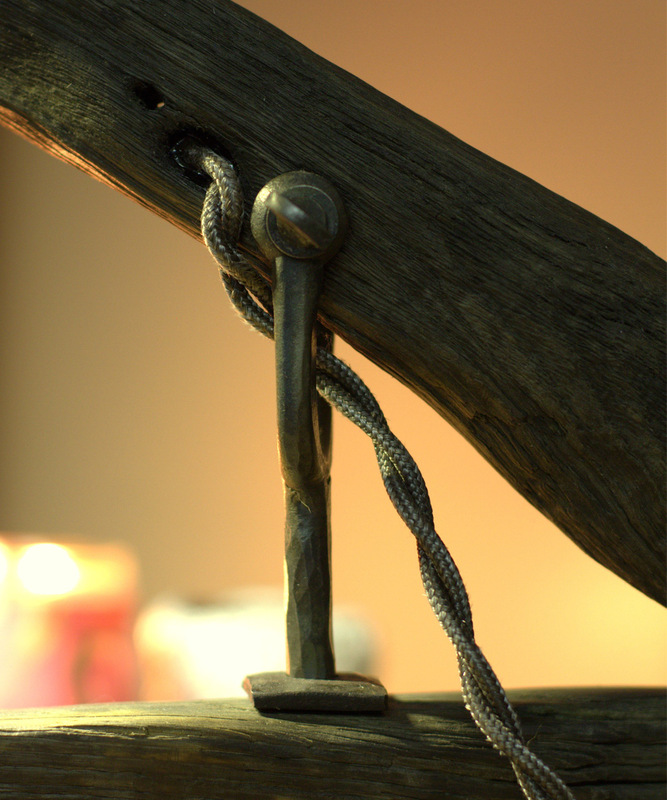 The hinge of the lamp is made from wrought iron and beautifully complements the antiquity of the wood. 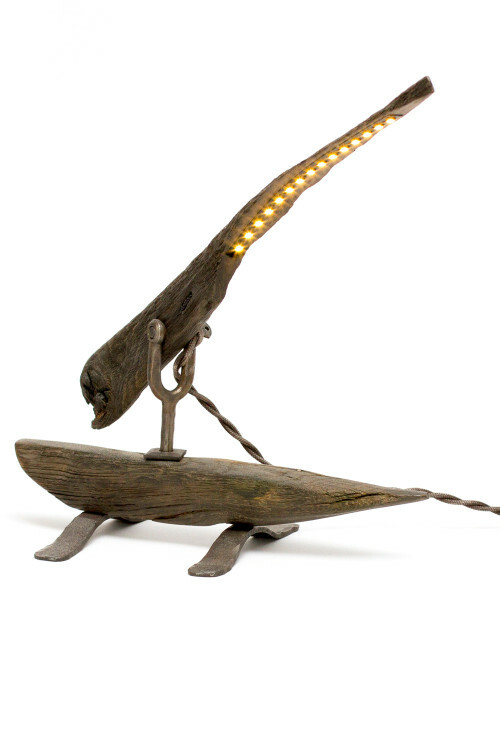 The driftwood lamp features the bright, power saving and practical new age LED lights as the source of illumination. It comes fully wired with no assembly required, and can be connected to AC power sources with the Europlug. The wiring comes with an in-line switch to turn ON/OFF the lamp without having to carry yourself to the power socket. Made from driftwood oak, the Driftwood Table Lamp features a very unique styling and texture. The texture of the wood is the result of years of drifting, and the years of water-conditioning lend it the colour too. The driftwood is suspected to have originated from one of the many ships that sunk in the Baltic Sea, and has spent around 300-500 years underwater to achieve its texture and colour. 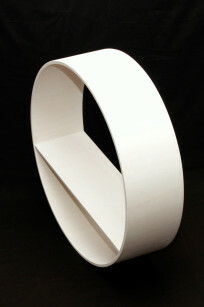 The iPhone Dock 004 is a wooden dock designed to make you and your iPhone look different from the crowd. 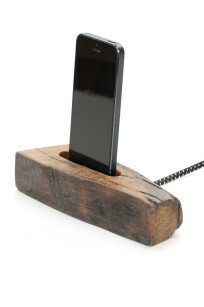 This distinct looking iPhone holder has been crafted from driftwood. 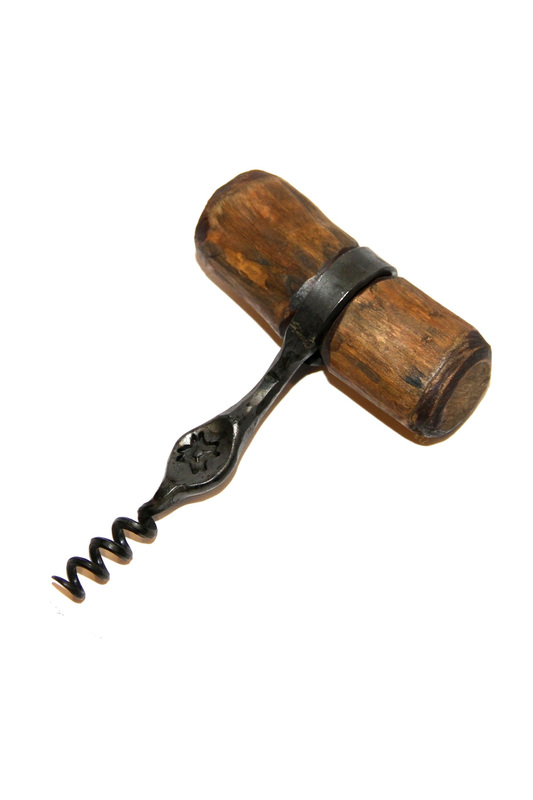 It comes made by hand, straight out of the wood of oak trees found in beach and coastal waters. 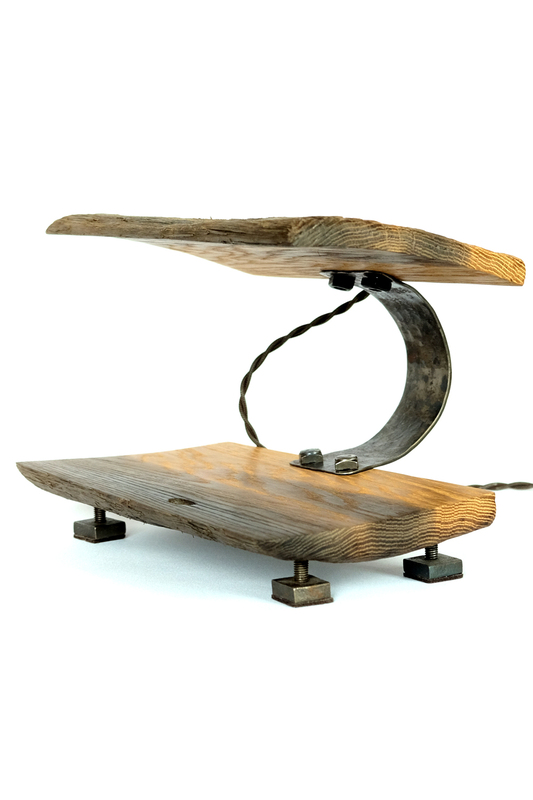 Washed ashore for hundreds of years, this driftwood dock carries a 100% natural look to your work table. 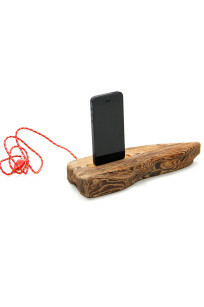 Wooden iPhone 5 and 6 charger – holder. The iPhone Dock 005 is a wooden dock which is sure to invite a lot of attention towards your work table at office or home. 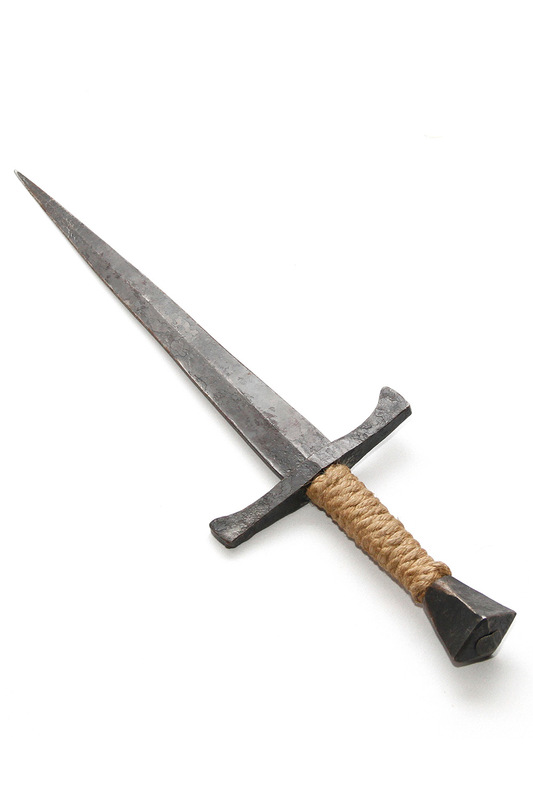 It comes made by hand, from a pine tree discovered from coast of the sea. 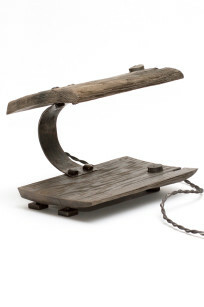 This distinct looking iPhone holder has been crafted from 100% natural driftwood, washed ashore for hundreds of years.